Vulcanized Cellulose Fiber for all electrical insulation. Gray insulating paper. .010" thick. used in switches, under terminals, in transformers, etc .where mechanical strength is required. Dielectric strength 3000 volts. 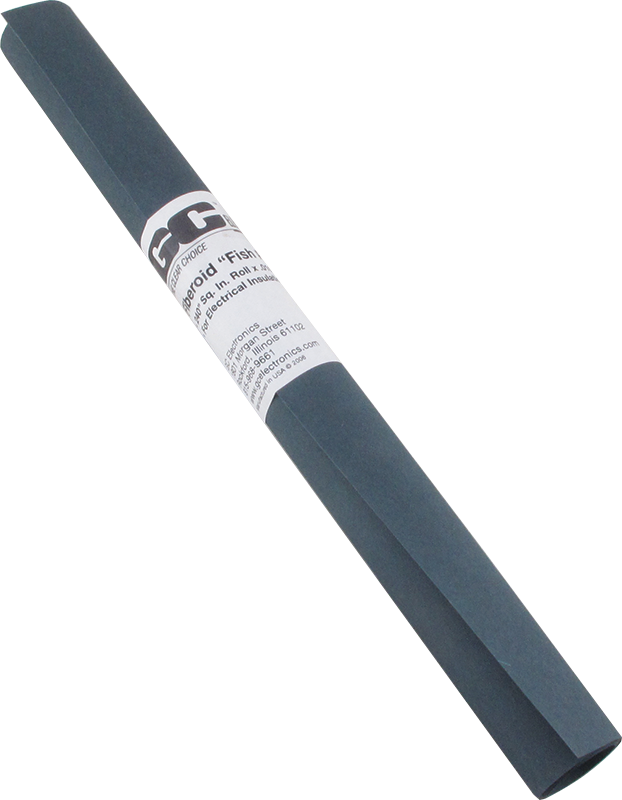 10" wide roll contains 240 sq. inches. Packaging Dimensions 10 in. x 1.3 in. x 1.3 in.